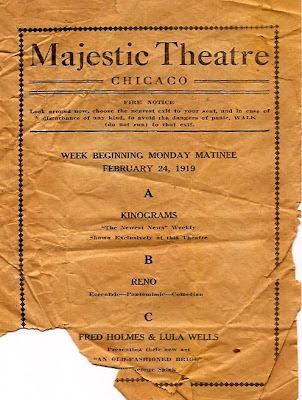 Fred Holmes and Lulu Wells, listed on the program from the Majestic, were relatives of my husband. 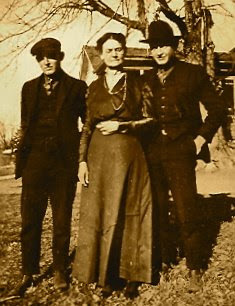 Fred was the nephew of my husband's grandmother, Bertha Evelyn Sawyer Neely, and we have pictures of him and his wife at the time, Lulu Wells. 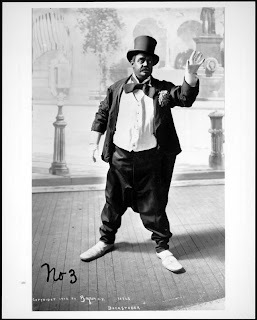 He had a long career in Vaudeville, as did Lulu, but they divorced in the 20's, as vaudeville itself was dying out. 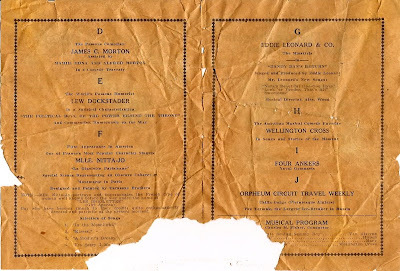 My brother was at Ft. Riley and lived in Camp Funston in 1951, when he was in basic training. I am glad to see that you have put your letters where they could be appreciated by a larger audience. They are a valuable insight.